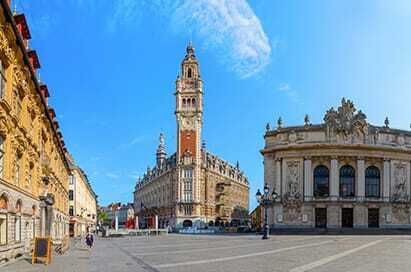 Lille also plays host to the oldest and largest Christmas Market in Northern France and is a great place for your students to experience the unique atmosphere of a European city at Christmas. With the convenience of Eurostar this modern continental city can be reached in less than 2 hours from London, making it ideal for a day trip or overnight stay. 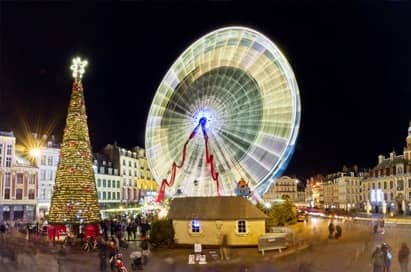 The Christmas Market in Lille is the largest and oldest in Northern France. It is a great choice for a day trip or overnight stay due to the Eurostar link which gets you to this winter wonderland in less than 2 hours. The festival is held in the Place Rihour in the towns centre with over 50 stalls offering a vast range of local products and original gifts. A Ferris Wheel turns on the main square, which is transformed into a winter wonderland, dominated by an 18-meter high Christmas tree. 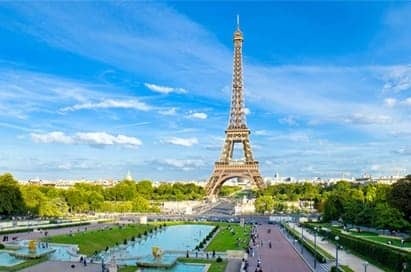 A sightseeing tour of Paris will offer the opportunity to see all Paris's main attractions including the Arc de Triomphe, The Louvre, Eiffel Tower, Champs Elysees, Sacre Coeur and Notre Dame. An experienced guide will give information on the history of the city and will be able to answer any questions you have. Bruges is a beautifully preserved medieval city. A major port until the 16th century, Bruges’ outlet to the sea silted and trading ceased for 300 years. This extended hibernation period has meant that the city’s historical centre has remained unchanged for centuries. 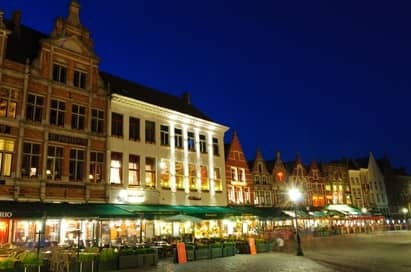 Students can wander the maze of paved streets or take a canal trip to experience the delights of this lovely Flemish city.